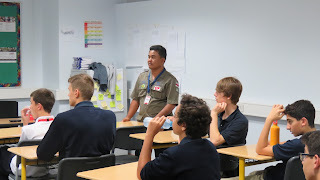 ASD Service Learning: CNN Hero, Aki Ra, Visits ASD! A while back an ASD family (prior to their arrival in Dubai) was in Siem Reap, Cambodia. Walking into the Landmine Museum just outside the town they were greeted by a man by the name of Bill Morse. Bill has given up much to support the work of Aki Ra, who grew up as a Cambodian child soldier who, after years of war and killing, took it upon himself to de-mine as much of his region's countryside as he could. The ASD family was so impacted by the experience they they felt the story needed to be shared in our community. A true modern day hero, Aki Ra has found support through his family, local community and, as the word spread, numerous international organizations. In 2010 he was recognized as a CNN Hero. 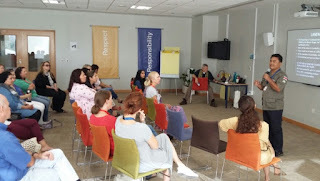 ASD was fortunate to have Aki Ra and Bill Morse visit to deepen social studies curriculum and an awareness of global issues through a series of conversations and Q & A sessions. 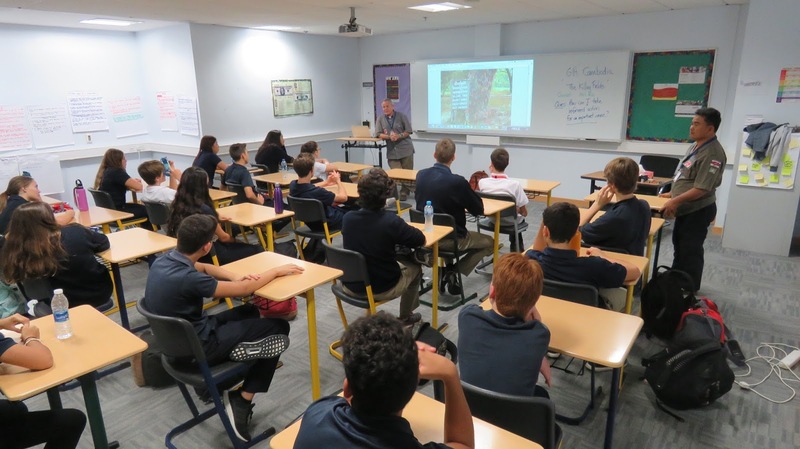 Students indicated that having a first hand account of war and subsequent events to support community has been hugely beneficial to the broadening of their "critical consciousness". 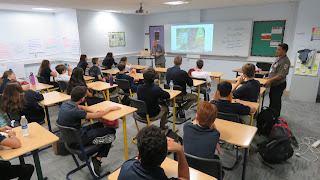 The visit took place over the course of a week and included two assembly addresses to the MS and HS as well as classroom visits to deepen learning in HS and MS social studies classrooms. 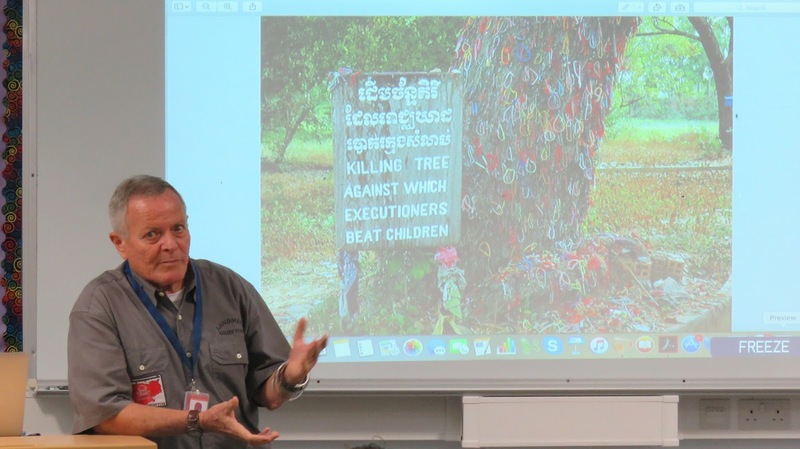 They were also able to meet with the teacher sponsors of the MS Week Without Walls trips to Cambodia which resulted in a new collaboration between ASD and the Landmine Relief Fund. We are hopeful that the connections will last a long time and that ASD students will be able to visit over a number of years to support their work both with the museum and also with the numerous rural schools that they have build to support community development. While here Aki Ra and Bill Morse were also able to meet with parents, the Superintendent Dr. Richards as well as be interviewed by the HS broadcasting team. The team's interview can be seen below.